The “national dance” of Chile is the CUECA, an exuberant mix of indigenous, African and Spanish influences, in which two dancers simulate the courtship of a rooster and chicken. Male dancers usually wear a traditional Chilean cowboy costume. Female dancers traditionally don a flowered dresses with an apron. They dance, they prance, they fall in love. When people in a place declare something to be their ”national dance” we wonder what about their country or culture they are implying with the choice. The cueca is a dance with elements that touch upon Chile’s historical relationships with indigenous people, Spanish settlers and African slaves. It is also a playful courtship dance that alludes back to days of traditional settlements on the Chilean plains. What does all this say about Chile’s view of itself and its past? 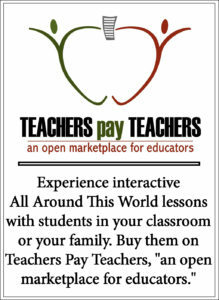 PLEASE NOTE: The lesson and embedded video are NOT “How to dance the cueca” tutorials. 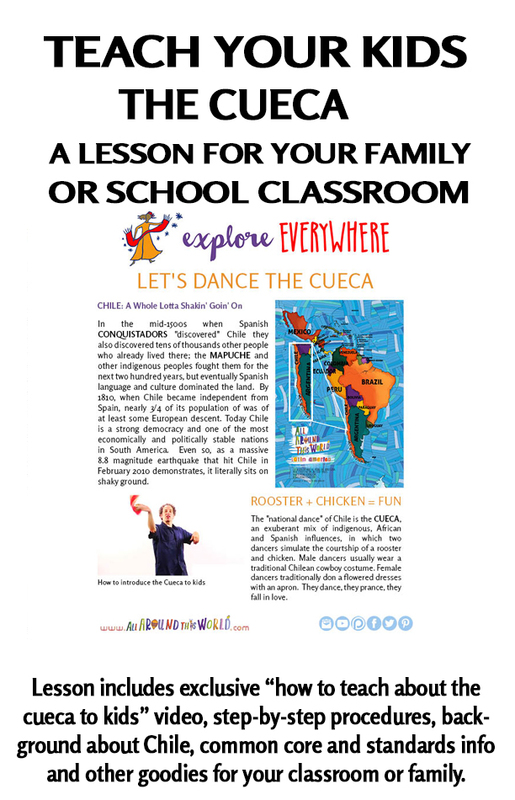 The goal of this lesson is to provide the tools for you to treat your very youngest students to their first introduction to the cueca and to inspire you to get up and dance together. (Your dance moves can’t be any worse than mine!) Ideally the lesson will be the first step on your and your students’ road to further Cueca exploration.